Another new handle for our traditional Range of products, similar to the Oak Lever Lock Set but with a longer backplate and a decorative 'curl' on the end of the lever. 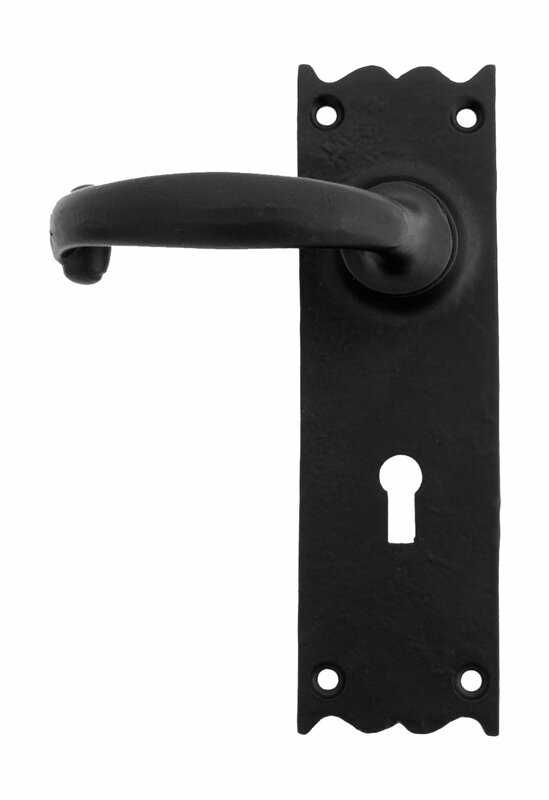 As usual, protected by our excellent Black Finish and can be used wherever needed. 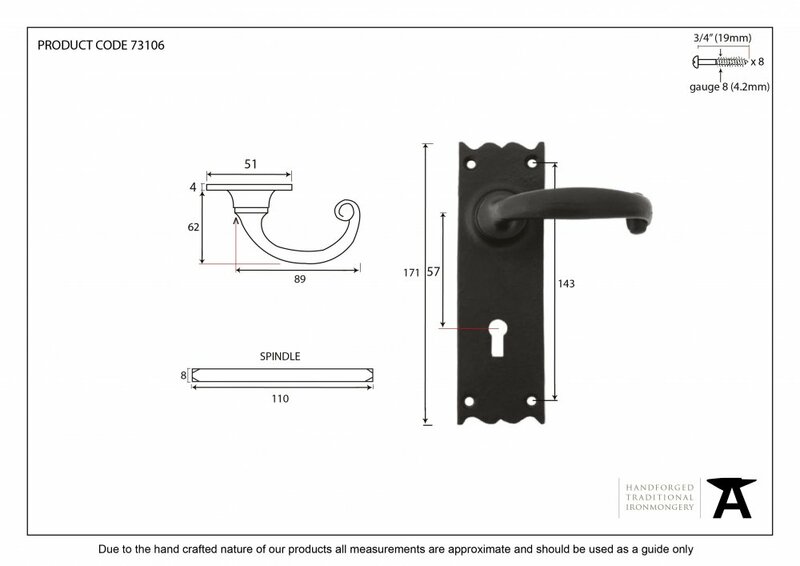 To suit all kinds of sashlocks with 57mm centres. Sold as a set with all necessary fixings.